6.7 earthquake hits the Prince Edward Islands. Philippines – Landslides and flash floods hit at least three towns in Davao Oriental early Tuesday following a heavy downpour overnight, authorities said. Tarragona and Caraga towns were affected by landslides while most of Manay town was swamped by floodwaters after river channels burst their banks. Florida, USA – An exceptionally high tide accompanying the Blood Moon flooded numerous beaches along Florida’s coast. New Jersey, USA – Another storm brought more flooding to Ocean City, as snow, heavy rain and chaotic winds pushed through New Jersey last weekend. Krill are moving further south from the Southern Ocean in vast numbers to an icier habitat as the oceans continue to warm, new research has found. 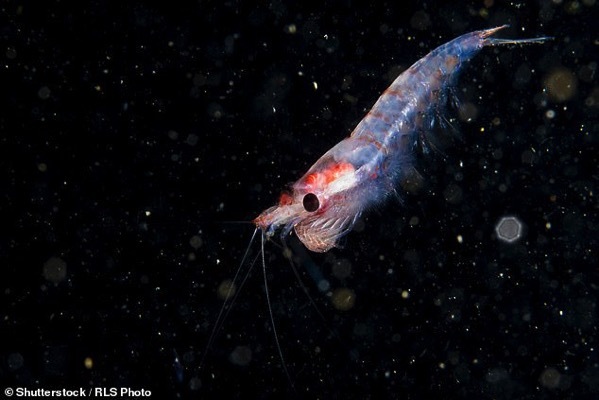 Scientists say warming conditions in recent decades have led to the krill migrating by about 270 miles (440km) toward the Antartic over the past 90 years. The pink shrimp-like creatures are the primary food source for almost all sea creatures including other fish, penguins, seabirds and whales. If this pattern continues, scientists warn that it will have negative ecosystem impacts and continue to see further dramatic declines in marine species. There is already evidence that macaroni penguins and fur seals are competing for krill to support their populations. Nigerian health authorities on Tuesday declared a new outbreak of Lassa fever that has killed 16 people since early January, despite successfully containing the disease last year. A total of 172 suspected cases have been identified since January 1, of which 60 were confirmed positive. Measles has struck the Korean peninsula as South Korean health officials say the outbreak has reached 30 cases since mid-December 2018. The first case was reported in Daegu last month. As of this week, the Disease Control Headquarters has confirmed measles outbreaks in five provinces nationwide. On 19 December 2018, the Argentinian Ministry of Health and Social Development issued an epidemiological alert regarding an increase in cases of hantavirus pulmonary syndrome (HPS) in Epuyén, Chubut Province. Between 28 October 2018 – 20 January of 2019, a total of 29 laboratory-confirmed cases of HPS, including 11 deaths have been reported in Epuyén, Chubut Province.